The theme for the Fujifilm Student Awards 2013 is ‘The Colour Of…’. Use your creative skills to create images that illustrate how colour lights up your world. The brief is to capture ‘The Colour Of…’ in a photograph. 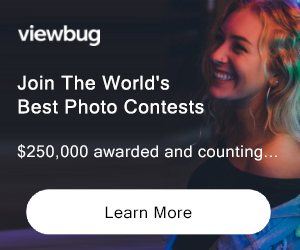 You may decide to shoot a series of images, but the judges will be looking for a single image as the winner. Please feel free to submit your series as single images. There is no limit to the number of entries you can send in. The judges often look for images that stand out from the crowd and really push the creative boundaries. Copy-cat and look-alike shots from previous years or other competitions are not usually given high marks. Take the brief as wide as you like but try to show the benefits of shooting on film, rather than digital. The Fujifilm Student Awards aim to showcase silver halide film at its finest. Shooting on film encourages a ‘quality not quantity’ mind set. Aim to get everything right before pressing the shutter; to achieve the perfect image that doesn’t require post production. Experiment too with different emulsions… traditional black and white, black & white CN (C41 process), colour negative and colour transparency. The slower speed of Velvia 50, for example, will provide exceptionally sharp and punchy images capable of great enlargement, whereas high speed emulsions will give a nice grain that can be exploited for effect. Cross and Push processing E6 film is also another great way to achieve something different. PRIZE DETAILS: The overall winning photographer will win: £200 worth of Fujifilm film, a professionally produced folio of prints and a one-to-one printing/consultancy session with one of Metroprint's top printers. The winning image will then feature in an exhibition to be held in London next Summer. 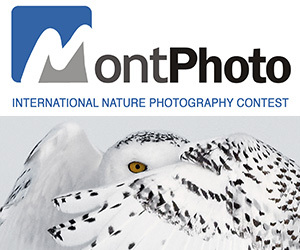 Monthly ‘Curator’s Choice’ winners will be presented with a free 12” x 16” professionally produced print of their winning image (courtesy of sponsor Metroprint). Each monthly winner will also receive 10 rolls of Fujifilm Film. All our Curator’s Choice selections will be featured on the Student Awards website, our social media channels and in our e-newsletters. There is no set number of Curator’s Choice photographs – it all depends on the judges’ selections. All monthly winners will also feature in the exhibition to be held in London next summer. The college or university that submits the most entries will win £200 worth of Fujifilm Professional film and a Certificate. ELIGIBILITY: Students of any age who are undertaking a full or part-time course at a UK based school, college or university Not eligible to enter? - Find contest where you are. COPYRIGHT: Copyright remains the property of the photographer at all times USAGE RIGHTS: Each entrant grants to the Promoter a non-exclusive, sub-licensable perpetual, royalty-free, world-wide licence to use, reproduce, modify, adapt, translate, publish, distribute and display any Entry submitted as part of this competition in any media now known or hereafter invented.